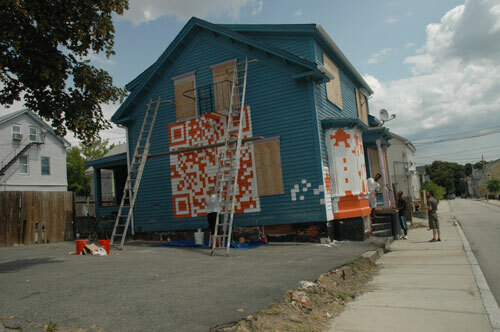 SoyaHaus as part of the HousEART project explores the intersection of technology, art and destruction through painting an orange oversized QR Code over the facade of a house destined for demolition. 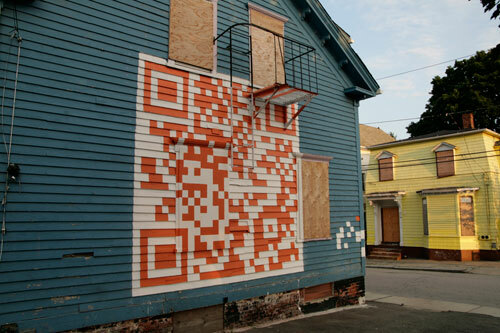 QR Codes are designed to be read by SmartPhones and scanners in order to provide users with more information about the item on which they are printed. 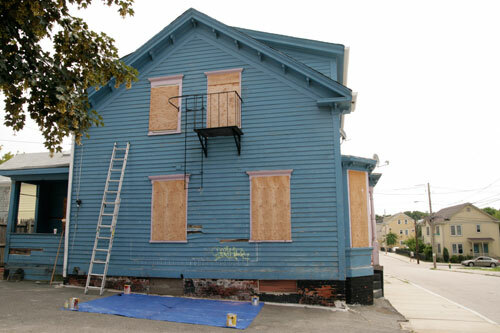 Ours points here, where we've documented the process and interactions with those in the neighborhood. 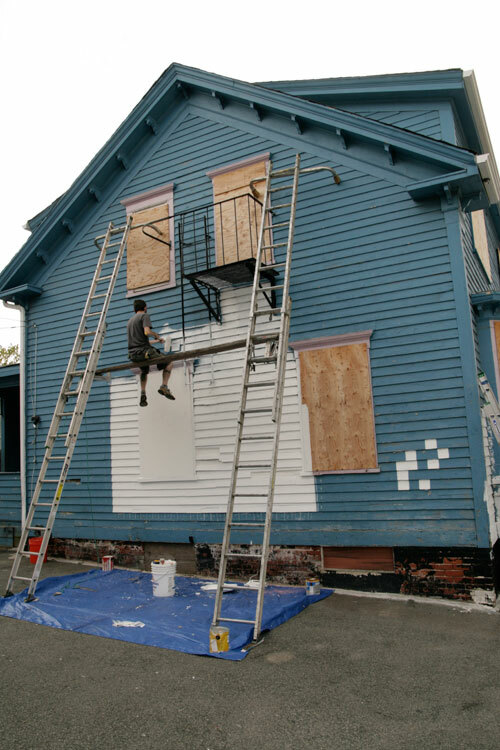 HousEART is a community-wide transformative art project. 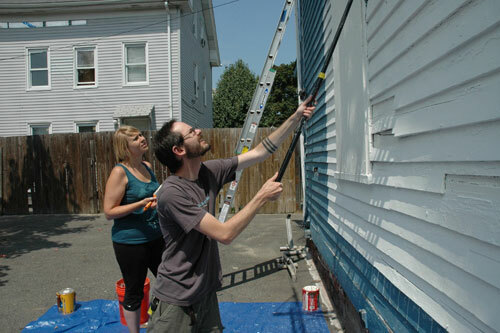 It connects artists with neighborhood volunteers in order to bring life and color to foreclosed, vacant houses. 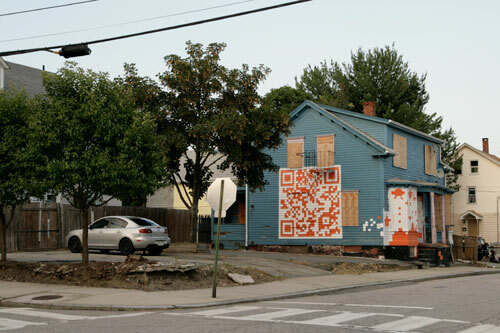 The story of HousEART is one of cooperation, communication and transformation.